The prototype for a new platform which aims to foster a collaborative writing community, with a built-in crowdfunding facility, has been unveiled. 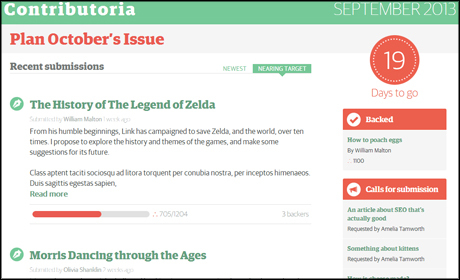 Contributoria was one of 14 winners of the International Press Institute's News Innovation Contest winners last year, described at the time as "a peer-based funding platform for storytellers". It will also now be backed by the Guardian. The original team behind the project included the Guardian's Matt McAlister, managing director of Talk About Local Sarah Hartley, and lead developer of n0tice Daniel Levitt. The team is now made up of McAlister, Hartley and freelance web developer Rev Dan Catt. Speaking at a News Innovation Event on Friday evening, which was co-organised by Journalism.co.uk, McAlister explained that the platform will let users share a story pitch, with the idea that members of the site's community can then pledge funding to help make it a reality. The team was inspired by the "really interesting projects out there that have tackled the idea of crowdfunding", he told the event audience, and felt this approach "could be applied to this idea of collaborative writing". The writer will state how much they need in funding to complete their work, and if raised, they can "move on and write it", he explained. 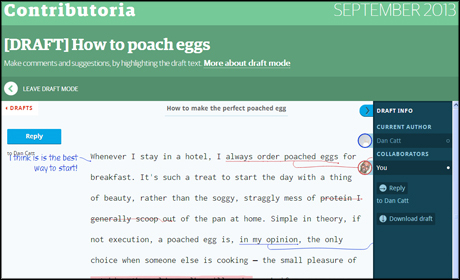 Contributoria is working with Poetica Software to enable collaborative editing which "lots of different people" can feed into. 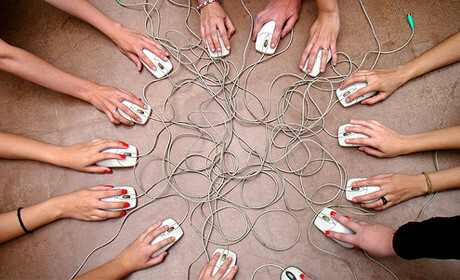 "Things are crafted and involve people and not just technology", Sarah Hartley told Journalism.co.uk. The technology "enables you to be able to make those nice handmade marks", she explained. The end result "feels much more a craft-based thing than it does a tech-driven thing." Eventually, the work will be published on Contributoria, and can then also be commissioned and published elsewhere. The platform is "creating a whole new market of people interested in writing, critiquing writing and enjoying a longer-form sort of journalism," Hartley said. She added that "it's got to be a community-driven proposition". "The USP is it creates a new market – it's not about selling into the mainstream media. There may end up being people selling into the mainstream, but that's not why it's there." Hartley stressed that the project is in "really early days", but hopes to launch "before the end of the year".